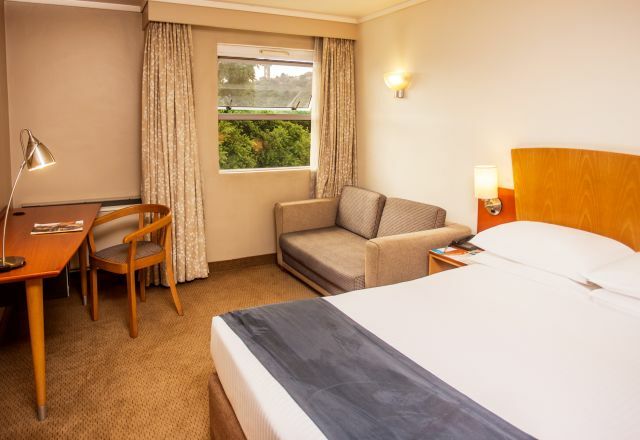 StayEasy Pretoria offers comfortable hotel accommodation in Pretoria well suited to meet the needs of budget-conscious business and leisure guests. The hotel’s 136 en-suite rooms are well-appointed, with simple yet inviting décor and furnishings, designed to provide a good night’s rest. All rooms include carefully selected amenities to enhance the enjoyment of your stay. These include free WiFi, DStv, air conditioning and in-room tea and coffee facilities among others. The added convenience of a wake-up call facility, in-room dining and a culture of warm, friendly service, ensures that our guests enjoy a relaxed and memorable stay in Pretoria. Free every day Breakfast. Kids under 18 stay and eat breakfast free. Tsogo Hotel Rewards members enjoy 10% discount on accommodation an much more. IF you are not yet a member, sign up now!